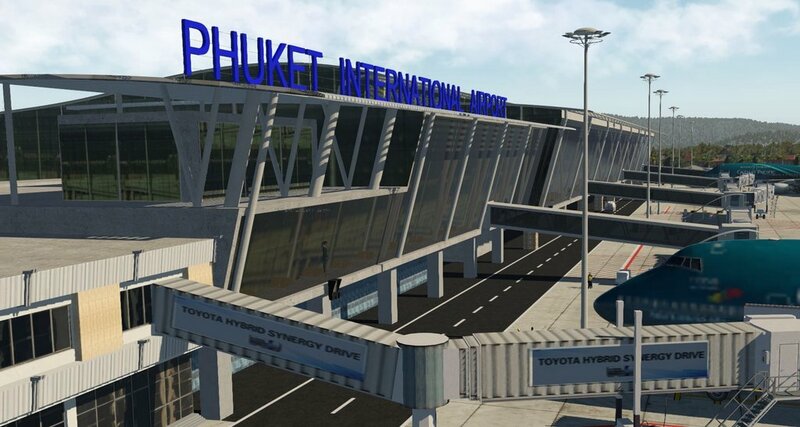 VTSP Phuket Int Airport (Phuket International Airport (HKT), gateway to Phuket Island, a paradise for tourists in the southern part of Thailand. 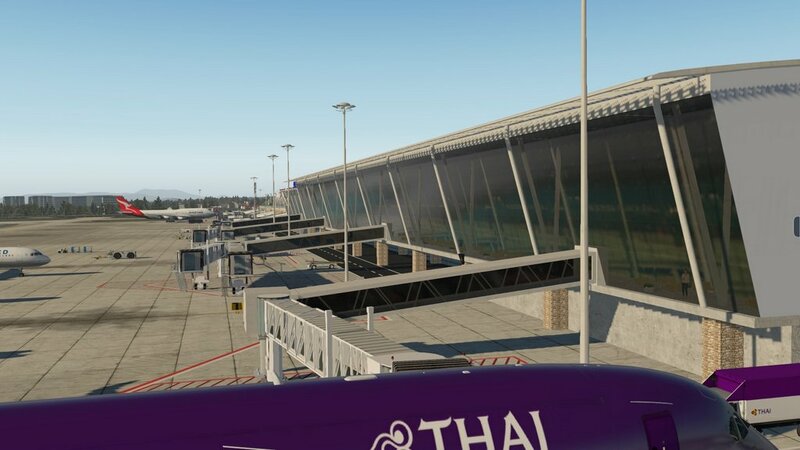 Phuket Island and nearby provinces are popular resort areas and Phuket International Airport welcomes a large number of passengers from all over the world, and plays an important role in promoting travel and tourism in the southern region as well as throughout the kingdom. Today, 10 airlines are on service and more than 2,900,000 passengers, 27,000 flights and 12,000 tons of cargo per year are handled at the airport. 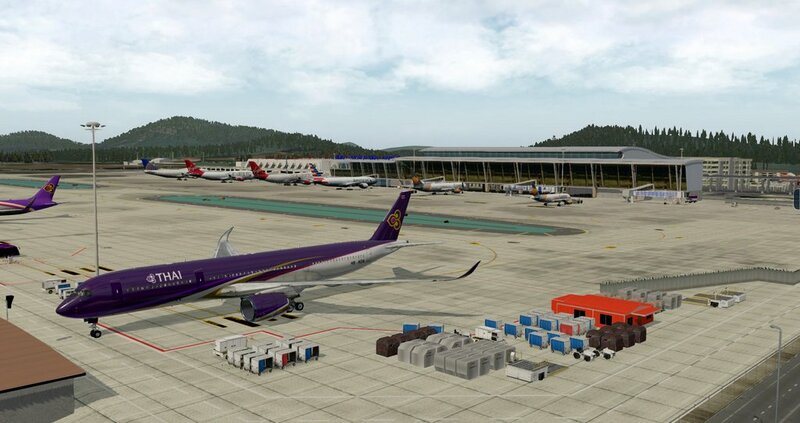 Phuket International Airport is the second busiest airport in Thailand. Millions of passengers each year visit Phuket to enjoy a wide range of tourist services, natural beauty of the world famous Phuket beaches and fascinating tourist attractions. Multi-level parking behind the new terminal. Detailed marking of the apron and runway. 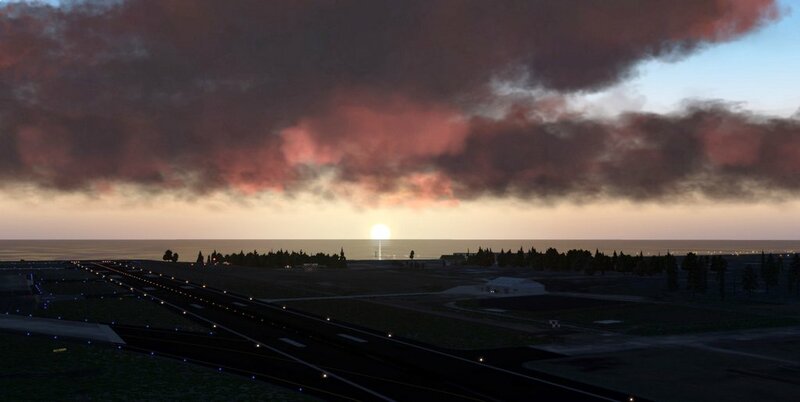 3D lighting of the airport zone. Covering the lawns and the surrounding area with grass, trees, lots of buildings and objects, adds realism. In the OSM, the forest was corrected and transferred to the scenery.